With 6.1 billion mobile phone users worldwide, SMS marketing campaigns offer a fantastic way of engaging existing clients, attracting new consumers, and retaining or upselling current customers. With SMS messaging providing an impressive 98 percent open rate compared to a 20 percent open rate with email messages, 90 percent of SMS are also read within three minutes of delivery. Clearly, SMS marketing presents a huge opportunity for marketers by leveraging mobile marketing. Example: Receive up to 4 texts per month to get our sale offers. From a legal perspective, it is essential to have permission from your clients in order to send them an SMS. Potential subscribers must opt-in to your campaign by either texting a short code to a number you provide or responding with a keypress option assigned by you. Example: Press 1 to opt-in. Alternatively you can include an option to opt-out prior to the launch of your SMS marketing campaign. This option should be clearly visible throughout the course of your campaign. Example: Text ‘STOP’ to cancel. Carefully structure your SMS marketing plan with attention to message frequency. Too many messages can be overwhelming and prove detrimental to customer satisfaction. Research has shown that the optimum number of commercial messages per month is somewhere between 4 and 8. More frequent messaging can result in a negative customer experience and loss of current or future clients. Messaging is about customer engagement. Customers opt-in and then forget when and why, so immediate messaging post subscription is key to keeping your client’s engaged and building a loyal customer base. As with any marketing campaign, it is essential to include a disclaimer in a promotional communication with your clients. Typically your disclaimers should address your customers concerns over text charges, privacy issues and spam. Again, keeping your customer well informed is central to a successful campaign. Targeting your audience at the right time is fundamental to a cleverly executed SMS marketing program and this includes the time of day you send your message as well as seasonal communications. 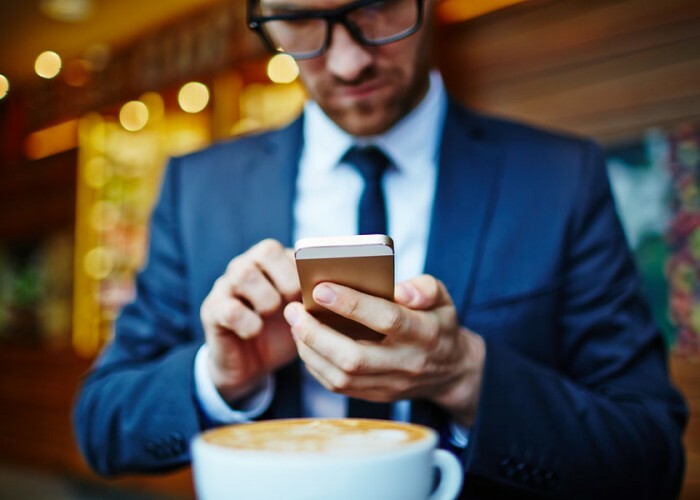 Although your customer can receive an SMS message at any time, receiving an SMS outside of normal hours of business can be counter-productive. There are no hard-and-set rules, however, it’s worth thinking about when your clients would want to accept a phone call and creating a campaign which keeps this in mind. Communicate with your customers in clear and commonly used terms. Text messaging shorthand should be kept to a minimum. Although abbreviated terms saves space, if overused, it can appear overly familiar and even unprofessional. Choose simple terms carefully to clearly convey your message and engage your client base. Messages to your customers should be fresh, relevant and informative. Ensure your customer is happy that they have subscribed and are aware of the benefits of opting into your messaging campaign. A strong call to action includes both value and relevance for your client and is central to a positive customer experience. Example: Opt-in to receive 15 % off your next purchase. The standard SMS is no more than 160 characters. Your messages need to be short, succinct and direct to engage your customers. Including wieldy links in your message to drive your customer to a sales page on your website may use up more of your text message than is necessary. Consider using Goo.gl or Bit.ly to compress long URLs into shorter links, which saves space and is easier for your customer to read. Interested in launching an SMS marketing campaign? For further information, please contact our please contact our business development team.